Architects for the concept of the development, Sanai Hopkins Architects (Project Architect - Amir Sanei) carried out an extensive series of studies culminating in a design which reflects the form of the nineteenth-century greenhouses that formerly occupied the walled garden. 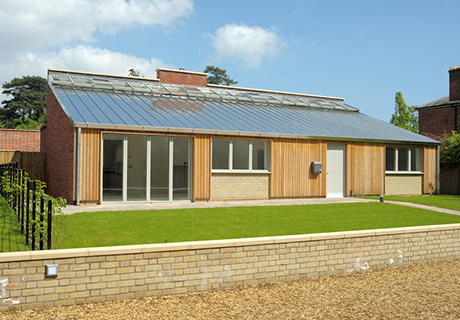 The choice of cedar cladding responds well to the simple form of each house and stainless steel was chosen for the roof finish to provide the reflectance necessary to refer to the glazing of the original buildings. 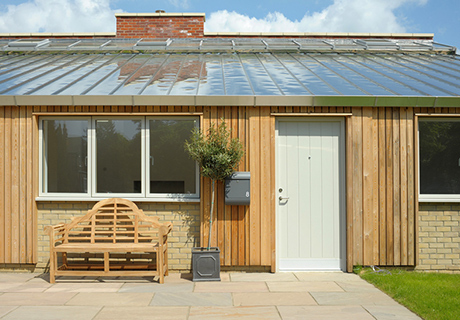 Sustainability was a prime consideration in the specification for this project, taking into account the building fabric of the various house-types and the day to day operation of the environmental systems in buildings which were likely to be left unoccupied for long periods. 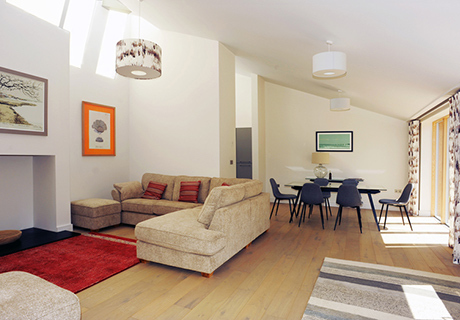 As Executive Architects our role was to address the scheme’s technical challenges whilst respecting Sanei Hopkins’ original design concept. 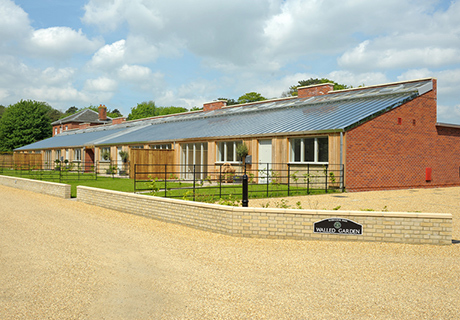 Extensive thermal modelling was required to avoid overheating and as result of this study the buildings have a high thermal mass which smooths out peaks and troughs of solar gain and brise soleil are employed to prevent excessive heat build-up from a high-level summer sun whilst allowing heat to be captured from low-level winter sun. 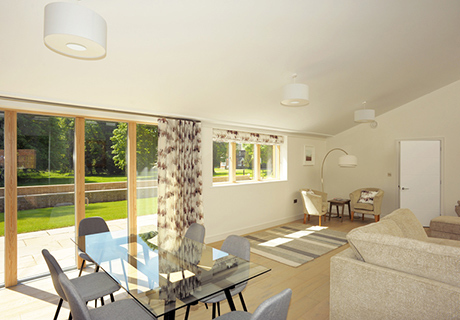 High-efficiency air-sourced heat pumps linked to underfloor heating to all habitable rooms and heat-recovery ventilation all contribute to an energy-efficient and comfortable environment. 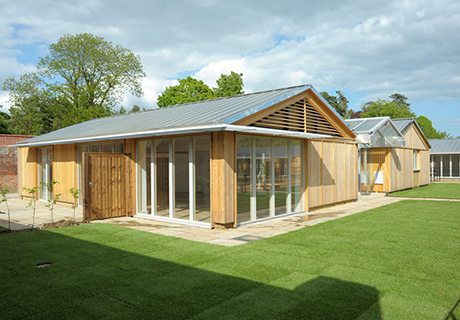 The specification of each house includes a high proportion of sustainably-sourced and recyclable materials and it is hoped that this development will become an exemplar of sustainable design on a sensitive site.